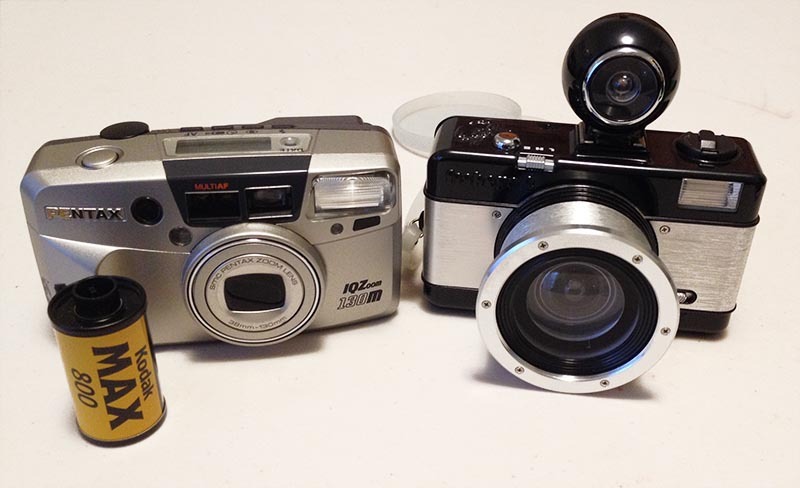 Film Photography Lust: Cameras I'm Shooting - Canon, Pentax, Olympus, And Others - Oh My! Cameras I'm Shooting - Canon, Pentax, Olympus, And Others - Oh My! Went downtown Indianapolis yesterday with Stephanie and then went to the Oranje arts event in the evening. I took a my Sony A6000 digital camera with me, but I also took film. Yep, lots of film cameras. 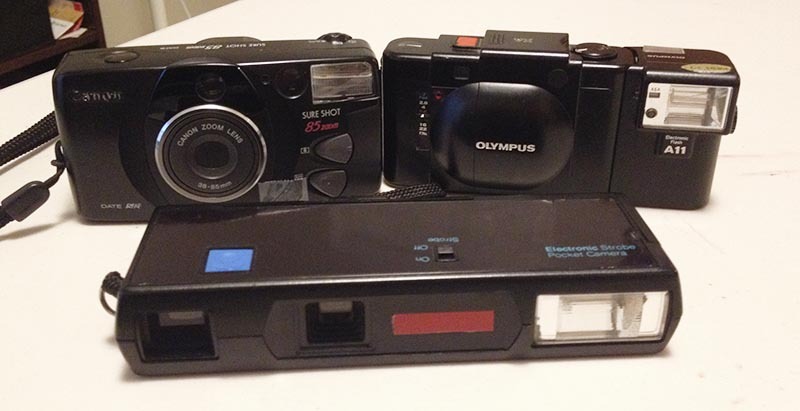 During the day I took a Canon Sure Shot 85 Zoom, my Olympus XA, & my Dad's old 110 camera (not sure who made it). After hours I took a Pentax IQZoom 130M (which I recently picked up at Goodwill) and a Lomography Fisheye II. I tried out an expired roll of Kodak Max 800 for one of the evening shots, so it will be interesting to see if I got anything. What I'm Reading - "Photojournalism"